Should California Businesses Pay More in Property Taxes? 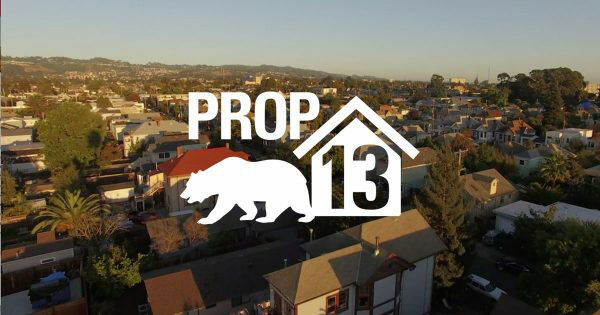 California property owners – whether homes or businesses – have benefited equally for 40 years from the passage of Proposition 13. That measure limits annual increases on property taxes. Now a progressive coalition, including housing advocates and teachers unions, wants to split homes and businesses onto separate tax rolls. Owners holding more than $2 million in commercial property would no longer be taxed based on the original price they paid. Instead, they would pay based on the property’s regularly re-assessed market value. “This would generate over $10 billion a year for our schools and local communities, without having to continue to increase taxes on individuals,” says Ben Grieff, campaign director for Evolve California, one of the groups pushing for the split roll measure. On this block in North Oakland, where we’ve been examining the legacy of Proposition 13, business owners have seen some of the same impacts of homeowners. Newer entrepreneurs often end up paying much more in property tax than established business owners, in part because those who’ve owned property the longest benefit the most. Noah Kinner owns a gym at the end of the block. It’s in an industrial building that once housed a biker bar. 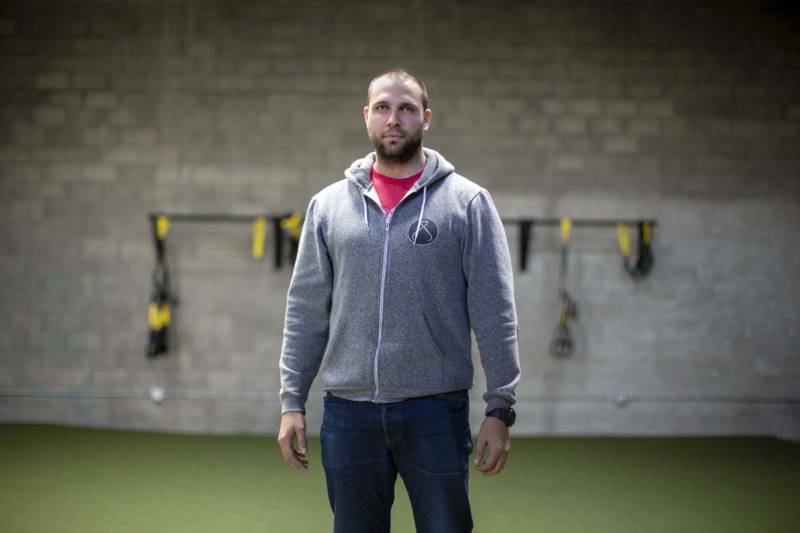 This is Kinner’s second gym location, and his first time owning commercial property. He says many of the people who come here to workout live close by. As long as the market value of Kinner’s building stays below $2 million, he would not be subject to the proposed split roll changes. But the way Oakland prices keep rising, he wonders how long he’d be able to qualify as an exempt small business. "I know the value of the building has appreciated significantly since we bought it,” Kinner says. “But that doesn't translate into anything for me and my day-to-day business." Under Proposition 13, Kinner’s property tax bill works pretty much the same way it does for his neighbors who own homes. It’s based on the price he paid for the building back in 2015 — not its market value today. Considering all the other costs associated with running his gym, Kinner appreciates the stability. The idea of taxing commercial property differently than homes appeals to many Californians. Oakland resident Samuel Drew, who lives near the gym, likes the idea of keeping Proposition 13 in place for homeowners. But he says many businesses don’t need it. "I think it's good for working people to lower their taxes,” Drew says. “But when you're making millions and billions, it just doesn't hit me as fair." But statewide, support for split roll has been declining, according to polling from the Public Policy Institute of California. Some 60 percent of likely voters were in favor of split roll back in 2012. That support has dropped to 46 percent today. PPIC President Mark Baldassare says public support is likely to dip when the economy is strong and the state’s budget is healthy. Perhaps the biggest selling point for proponents of split roll is how much it would raise in new tax revenue. A USC study found that it could bring in an additional $11.4 billion per year statewide. Split roll backers question why Proposition 13 lets large, older corporations benefit from much lower tax assessments than newer companies right next door. For instance, Intel owns a plot of land in the heart of Silicon Valley with an assessed value of about $2.50 per square foot. Meanwhile, just across the street, a professional office center is sitting on land with a recently assessed value of about $126 per square foot. But taxpayer groups say split roll would only make the cost of doing business in California more burdensome. “If you talk to business owners and ask them if they're getting a pretty good deal on taxes in California, they will unanimously say 'no,' ” says David Kline, vice president of communications and research at the California Taxpayers Association. Business groups often describe property taxes as one bright spot for companies in a state that otherwise levies some of the highest taxes in the country. A 2018 split roll analysis from the California Legislative Analyst’s Office concluded that raising business taxes relative to other states could “influence some businesses' decisions about whether to expand in or move to California.” But overall effects on the health of the state’s economy would be uncertain, according to the report. Kline says if split roll passes it’s not clear other taxes would come down. Proposition 13 has benefited some long-term property owners in this rapidly changing Oakland neighborhood. Just down the street from Kinner’s gym, there’s a donut shop. Cambodian immigrant Timothy Mom has been running it since 1990. 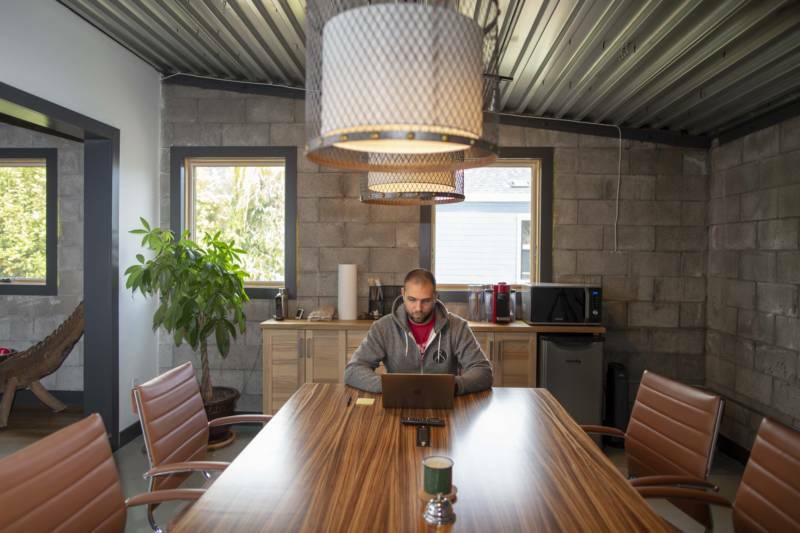 He rents the space, but he pays property taxes to his landlord as part of his lease agreement. Mom says that bill comes to about $135 a month. He says that he’d have a much harder time starting his donut shop in this neighborhood today, especially if his taxes were tied to current property prices. "Right now it's very expensive to open a new business,” he says.